Our Small Business of the Month is Ultimate Ice Cream. It wouldn't be summer without ice cream and what better than local flavors? Ultimate Ice Cream has been an Asheville favorite since 2005. What started as one location has grown to two shops, a large ice cream kitchen and 35 wholesale accounts. Ultimate Ice Cream now makes seven times the ice cream as when the shop first opened. What's behind that success? Owners Kevin and Lucia Barnes have a strong commitment to quality and community. They use local milk and have formed partnerships with several local farms and small businesses for everything from berries to honey and bacon to baked goods. "We are extremely proud to be part of our vibrant food community and to play a vital roll in helping to make Asheville Sweet," Kevin said. 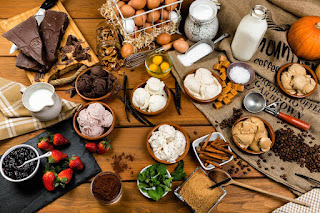 Ultimate Ice Cream supports local not for profits through the Flavor of the Month program with proceeds from that flavor going to the chosen organization. "When a particular issue presents in our community, we play our part in bringing awareness to the issue. The latest issue that we addressed was HB2. We created the flavor Honey Butter Nuts with the proceeds going to the Campaign for Southern Equality. We may not be the first to work to bring awareness to social issues through ice cream but it is gratifying to do it in our state, our community." "We show ourselves to all by inscribing a heart onto the top of every single tub of ice cream we make.Our simple manifesto is Manifest your Ultimate Desires, our wish is that one day we ALL will be able to hold this as true." To other small businesses Kevin says, "Stick with it through the hard times, and don't take yourself too seriously. Being able to use your mistakes as a platform for learning can also aid in your success and happiness. Never loose your sense of humor!" Looking ahead, Ultimate ice cream is working on getting pints in grocery stores and specialty shops along with creating a line of alcohol ice cream.